In this recipe parsnips are combined with yoghurt and olive oil for a mash that’s creamy without lashings of butter and cream, making it a perfect accompaniment to roast lamb or chicken. Happily so, because the sweet and unusually nutty taste of parsnips is just lovely with rich meats! 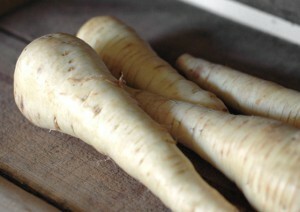 Choose medium sized parsnips for this recipe as big ones will be too fibrous and small ones will absorb too much water. 1. Bring a large saucepan of salted water to the boil and cook parsnip in it for about 12 minutes, or until very tender. Drain well. 2. 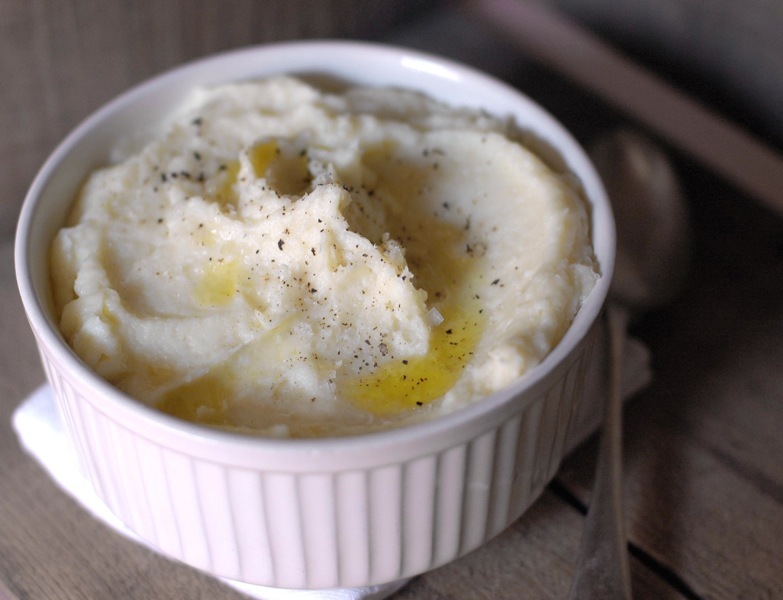 Using either a potato masher or a food processor puree the parsnip with yoghurt, olive oil, salt, pepper and nutmeg. You may want to add a little extra yoghurt or warm water to get the consistency right. Taste and adjust seasoning, and drizzle with a little olive oil to serve if you wish.